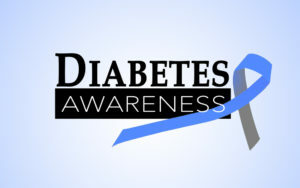 This November marks American Diabetes Month, an annual occasion intended to bring awareness to diabetes, which affects approximately 30 million people in the country, as well as the different challenges that the condition presents in the daily lives of patients. One such challenge often includes impaired or lost vision caused by diabetic retinopathy, a progressive eye disease that is considered the most common ocular condition directly caused by diabetes. Diabetic retinopathy is caused by changes in the retinal blood vessels due to high blood sugar levels. Since diabetes often leads to excess sugar in the blood, it is usually the case that the longer an individual has been diagnosed with diabetes, the greater the likelihood of that patient developing diabetic retinopathy. In the early stages of the disease (which are known as “non-proliferative”), the retinal blood vessels leak and induce swelling of the retina, typically causing no visible symptoms. When diabetic retinopathy progresses, abnormal blood vessels begin to grow on the retina and break. This can lead to cloudy vision, floaters (dark spots), and even permanent vision loss if the disease advances. Early detection is pivotal to slowing the progression of the disease and preventing your vision from being permanently impaired. Our West Chester eye doctors and retinal specialists hope to bring attention to diabetic retinopathy this American Diabetes Month and encourage patients to undergo an eye evaluation every year, especially since the symptoms of non-proliferative diabetic retinopathy may not be entirely obvious. For more information, or to schedule an eye exam, please do not hesitate to contact our practice.